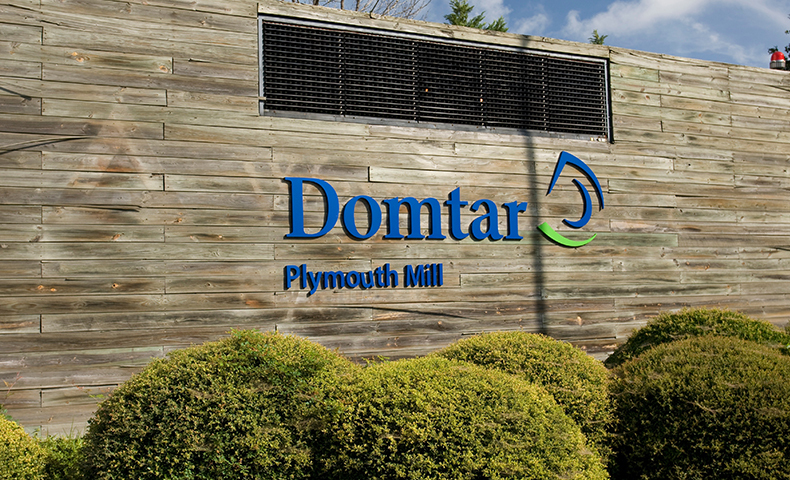 In 2017, Domtar set forth a vision to establish our pulp business as a growth driver for the company. Since then, the pulp leadership team has enacted tangible plans to optimize and improve operational efficiency at Domtar’s core pulp mills through a combination of capital investments and continuous improvement projects with the goal to grow the business into a world-class global supplier with strong long-term customer partnerships. One such initiative is aimed at optimizing the Plymouth Mill’s operations in phases to grow it into a highly competitive pulp supplier. The first phase is focused on increasing energy and resource efficiency. A number of these operational efficiency projects will come to fruition in 2019. For example, the mill will save hundreds of thousands of pounds of steam per hour and several million gallons of cooling water per day by improving its fiber waste (hog fuel) boiler and installing a new cooling tower with heat exchangers. Additionally, by eliminating the use of a biomass boiler that previously supported a recently retired pulp machine, the mill will consume less biomass to produce the same amount of pulp … not to mention the additional operational efficiency achieved through simplifying the mill to require less maintenance and general upkeep. He says the organic continuous improvement actions have reduced chemical usage and energy consumption, and improved productivity — earning the mill the opportunity to grow those initiatives through company-funded investment.